Not adjustable, chain is different in reality. 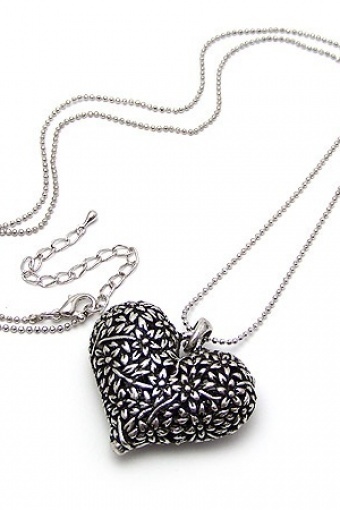 Heart Ajour necklace silver by from Paris with Love! Beautiful ajour heart made from silver coloured metal (nickel tested) on faceted ball chain necklace. The perfect gift for yourself or your lover :-).